The black cobra pepper (a.k.a. goat’s weed pepper) certainly announces itself with presence. 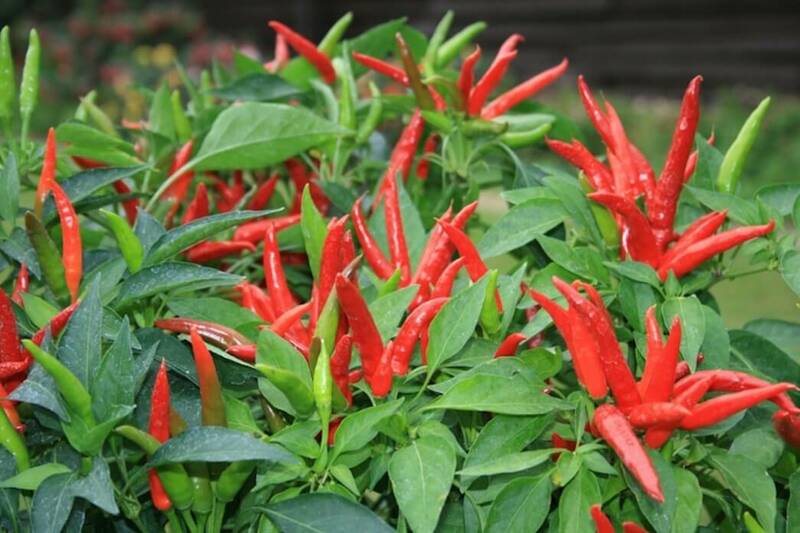 Growing straight up in green, black, and red from leaves covered in fine silvery hair, the chili certainly has a dramatic presence perfect for ornamental use. They have a biting bitter medium heat that reaches cayenne pepper levels of spiciness. But like with other ornamental peppers, don’t expect much nuance in flavor. 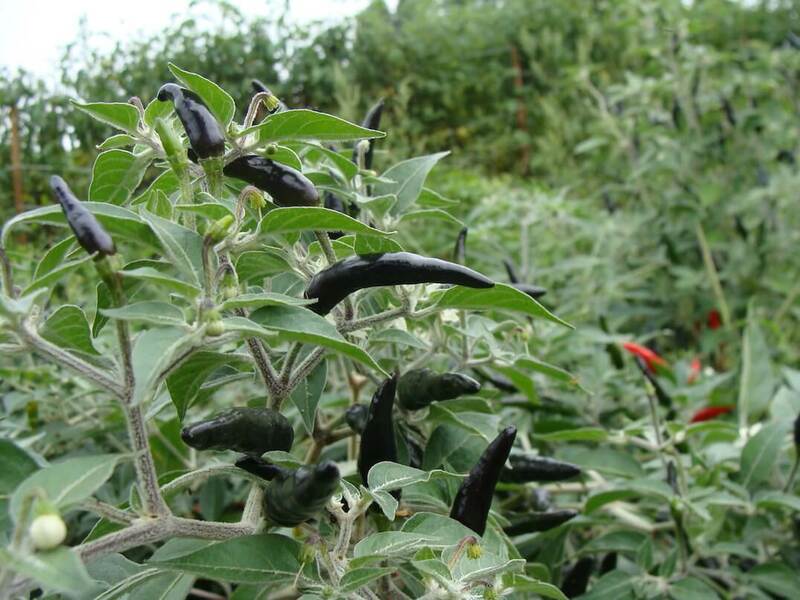 These are chilies with a lot of looks, but little complexity to their taste. How hot are black cobra peppers? 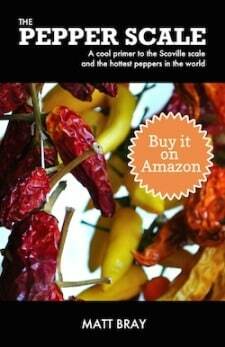 They fall very much between a serrano and cayenne in total heat – 20,000 to 40,000 Scoville heat units. 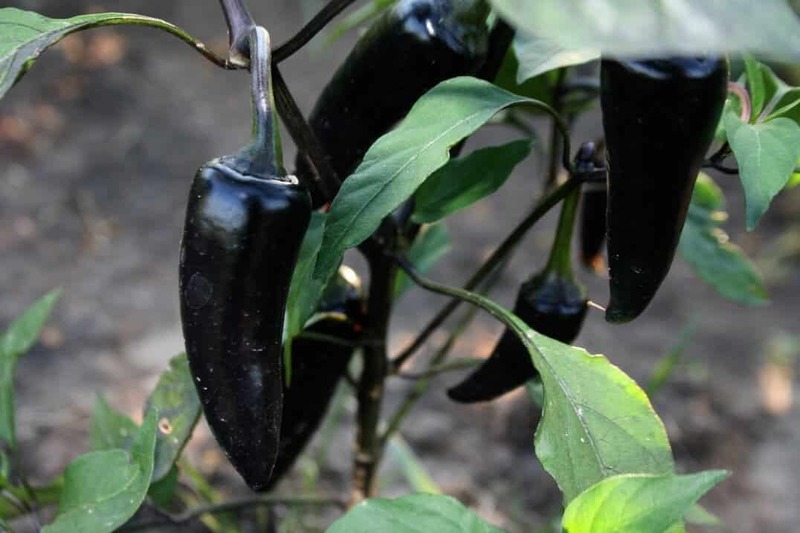 To put that into perspective with our jalapeño reference point, the black cobra ranges from three times to sixteen times hotter than a jalapeño, depending on the properties of the chilies tasted. 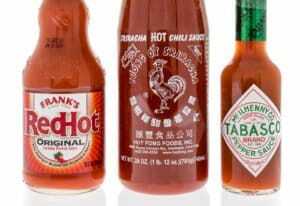 This is a spiciness that is spice rack friendly, if not family friendly, so many will be able to take the heat. This is the major selling point of the black cobra pepper. The look is very dramatic, with the long and slim three inch chilies growing straight up from the plant itself like little fingers reaching for the sky. But that’s not the only noteworthy characteristic. 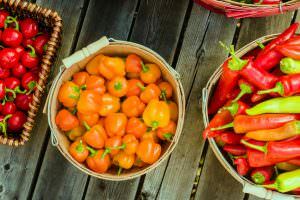 The peppers themselves have a unique aging color pattern, running from green to jet black to rich red – and as the plant is a heavy producer, all three colors can be well presented on the plant at any time, along with beautiful white flowers. And then there’s the stems and leaves which have their own unique property: They grow a fine silvery hair. 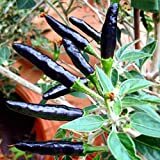 This trait is typically only seen in Capsicum Pubescens pepper varieties, but the black cobra is an anomaly here as the only variety among the broad range of Capsicum Annuum peppers that have hairy leaves and stems. 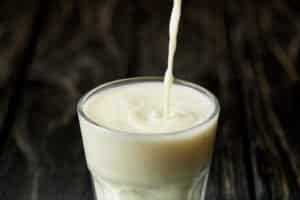 What do black cobra peppers taste like? For all of the beauty, there’s little nuance in the black cobra’s flavor. But that isn’t surprising as most ornamental peppers tend to be high on heat, high on beauty, but low on flavor complexity. There’s a bitterness to these chilies that’s present no matter their age and no real fruitiness to balance that taste. They aren’t the best chilies to use fresh (maybe why the name goat’s weed for these peppers), but the black cobra is not without its uses. With the black cobra’s bitter flavor, the best use case is drying to use in flakes and chili powders. It’s really the heat that these chilies can bring to the table that’s of greatest culinary interest, so dried and ground down to use as a heat source is common. While not recommended fresh, black cobra peppers can be used in soups and sauces to provide extra heat. Just consider the overall flavor balance carefully as the pepper’s bitterness can actually change the overall flavor profile. You may want to balance your recipe with a more flavorful fresh chili, especially one with fruity undertones like habanero. Where can you buy black cobra peppers? Given they aren’t the best tasting, don’t expect to pick these peppers up at your local grocer. Farmer’s markets, too, typically won’t carry them. The more common route is growing them yourself. These ornamental peppers look beautiful as landscaping or in containers, and they tend to overwinter decently well in frost free areas. 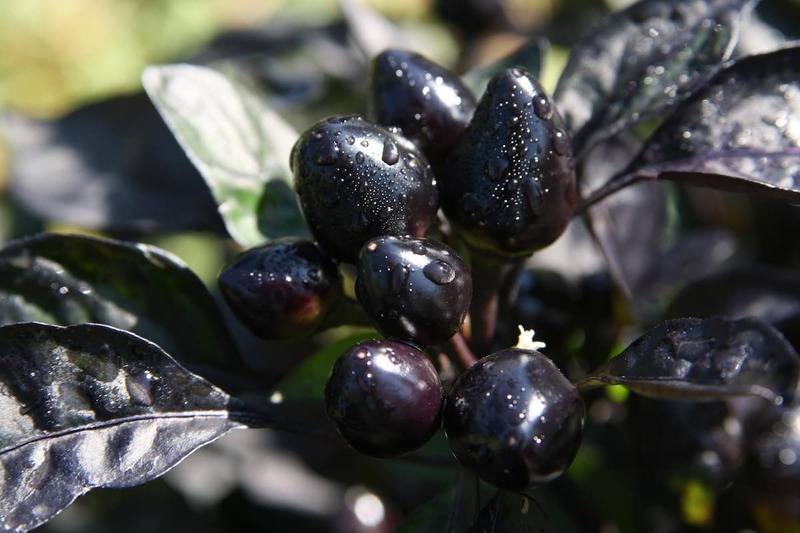 You can pick up black cobra pepper seeds online or at many gardening centers. Be sure to also look for goat’s weed pepper seeds, as they may be named. 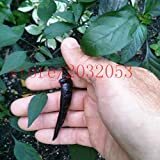 If you’re looking for a head raising chili for your gardening, the black cobra pepper is more than a solid choice. It has a look that’ll impress. Just be prepared for its bitter side if planning to go beyond the aesthetic use case.